Some of the best games that can be found in online casinos, and we have them in our games preview. It is only a small selection, but shows how far developed nowadays the casino slots are. The manufacturers increase their efforts to develope even better slots with fantastic graphics, sounds and features. Some of the effects reach already Hollywood maturity dimensions and also the sound and the graphics remember Hollywood movies and blockbuster. For the players, it’s a real pleasure and playing is more than ever also entertainment. If you like the previews, you can test completely free the games in many of our casinos. For example, visit the 888 Casino. There, all games are available for free and if you want to play for real money you can receive £88 without any deposit. No risk but a lot of fun! The Terminator II Online slot has been developed by Microgaming. On 5 reels with 243 ways to win is action sure as death. 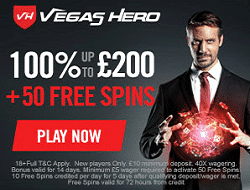 In the free spins bonus expending the ways to win on 1.024! Each original character from the movie delivers extra rewards with bonus feature. All special sequences and the sound comes from the original movie. Avalon II is an online video slot game with 5 reels, 3 rows, and 243 ways to win, developed by Microgaming. In addition to eight different bonus rounds, wild and scatter symbols that can activate 20 free spins, the slot boasts incredible 3D animation and beautiful landscapes. This is Microgaming's best game! Playtech's Iron Man 3 is the third successful release of the Iron Man Online Slots. The 5 reel video slot has 25 paylines and three different free games features, as well as innovative bonus features embedded in the free games mode. Additionally, the slot game is part of the progressive Marvel jackpot network with four levels. "The Dark Knight Rises" online slot allows players to revisit the familiar characters of the blockbuster hit by the same name. The slot game offers veritable fireworks of bonus features, powered by 243 ways to win. There are also scatter and wild symbols, as well as a realistic fight scene, that reward players with free games. Entertainment at its finest! Book of Ra Deluxe is part of a series of popular games created by Novoline. Long before online casinos played a major role, these games had their rightful place in actual casinos. The slot features the classic 5 reels and 10 paylines, as well as a free game feature activated by a minimum of three books. Gonzo's Quest was created by NetEntertainment and is one of the most popular games developed by the Company. Its 5 reels with 20 paylines feature a beautiful Aztec style. The slot has a wild symbol and in the free fall/avalanche feature, players receive a 3x multiplier and can receive up to 15 times their winnings. The Lucky Koi online slot game was developed by Microgaming and features an Asian theme. Its 5 reels and up to 25 paylines are filled with beautiful colors and symbols. Three kois scattered triggers the Bonus Choice, where you get to choose between a Free Spins feature or a Koi Bonus feature for extra prizes. 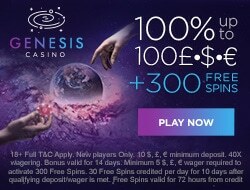 Free Spins can produce between 10 and 30 free games at multipliers up to 5x.